﻿ Best Price on Ocean View Villas in Kralendijk + Reviews! This modern-style property located 1.4 mi from Flamingo Airport has a swimming pool, free Wi-Fi access and an outdoor patio. Free parking is also available. The comfortable accommodations at Ocean View Villas offer air conditioning, cable TV with a DVD player, equipped kitchen that includes coffee maker and a microwave, plus ironing facilities. The bathrooms have showers. Guests at Ocean View Villas will find a supermarket 2.9 mi from the property, and there are several restaurants available within 3.1 mi, like Cactus Blue and Patagonia Argentinian Restaurant. 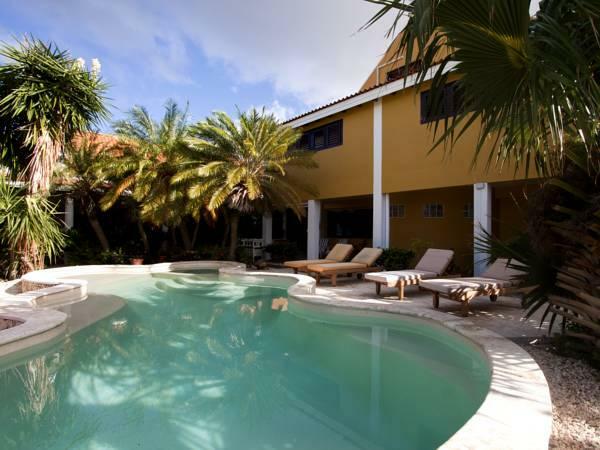 The Bonaire Museum is 3.1 mi from the property, and the Bonaire National Marine Park can be reached in a 5-minute drive. Some popular activities in the area are diving, snorkeling and swimming in the sea.